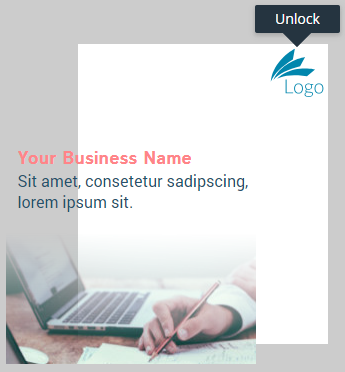 You can lock objects on the page to prevent accidental dragging - for example it is sometimes useful to lock the background of a page to stop it sliding around as you select and reposition items on the page. Select the object and tap Lock on the properties menu. The object stays put. Tap Unlock on the object's context menu to unlock. A locked object is not available for selection, so this means that you can't copy, paste, duplicate, or perform any other action on it until it's been unlocked.